Depending on how you created your conference, your conference may conclude by itself, or you may have to conclude it manually. 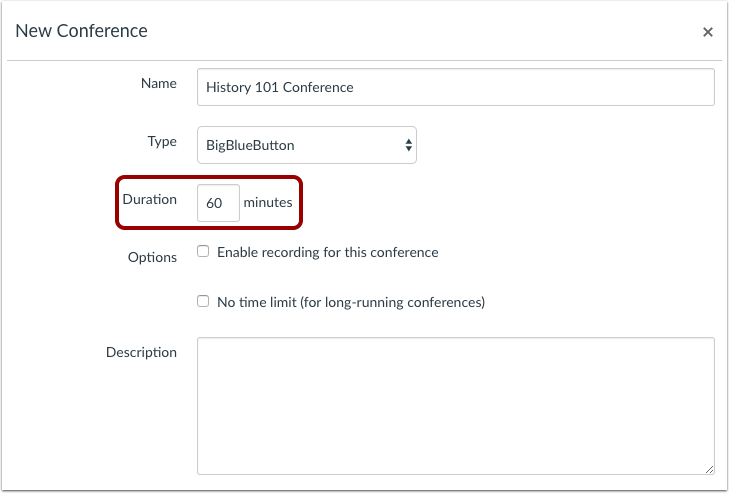 Note: A conference can be concluded directly from the logout menu in the conferences interface. However, the Conferences page does not currently update the status and will still show as In Progress. If a new user joins the conference, a new meeting with the same name will be created. To prevent new users from joining the conference, always return to the Conferences page and click the conference End button. Conferences created with a time limit will remain active for the duration of the conference. Once the conference duration has expired, the conference will automatically conclude once the last member of the conference has left the room. You can also manually conclude (end) the conference at any point during the allotted time. When a conference concludes, all files and chats are removed from the conference room. Conferences created without a time limit will remain active as long as you (or another conference organizer) keeps the conference running. To end a conference, return to the Conferences page. Next to the name of the conference, click the End button. Once the conference has concluded, the conference will appear in the Concluded Conferences section on the Conferences page. Updating the status of the conference may take a few minutes. 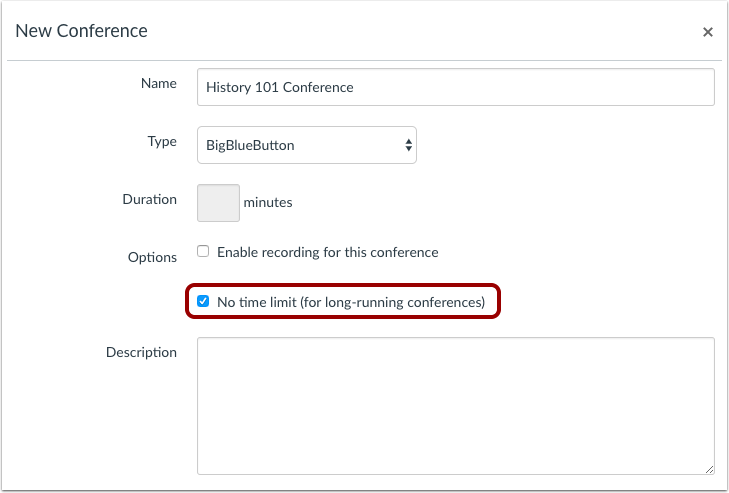 Note: If the conference has not changed status after a significant amount of time, the time limit has passed, and there are no members left in the conference room, edit the conference and update the settings to manually refresh the Conferences page. Previous Topic:How do I join a conference? Next Topic:How do I upload files to a conference as a presenter? Table of Contents > Conferences > How do I conclude a conference? Re: I recorded a presentation in Conference. How do I share it with my students?